For Love or MONEY... but preferably, both. Q. What advice do you have for those looking to succeed in your industry? A. If senior care is your passion, then go for it — you will be successful if you are passionate about anything. I know this for a fact because for the past 16 years, I have put my heart and soul into everything I do in the senior care industry, and it has served me well. Q. How do you balance the demands of your job? A. Well, to be honest, I need to work on this a little better. I preach all the time to my team: Don’t forget work-life balance. I do have wonderful family, friends and co-workers who help me to practice what I preach, though. Q. What has your work taught you about leadership? A. I have learned that seniors have worked hard to get where they are today — they deserve the very best. And that is what I strive every day to achieve at Canterfield of Bluffton. There are so many invaluable lessons to learn from them. Q. 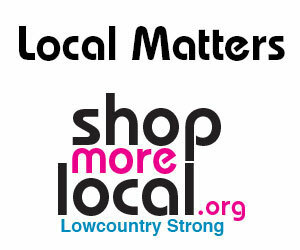 Have you always called the Lowcountry home? A. I have lived in the Lowcountry since 2015 and absolutely love living here. I’m from a small town in Florida, but lived in Tampa, Atlanta and Seattle before moving to South Carolina.